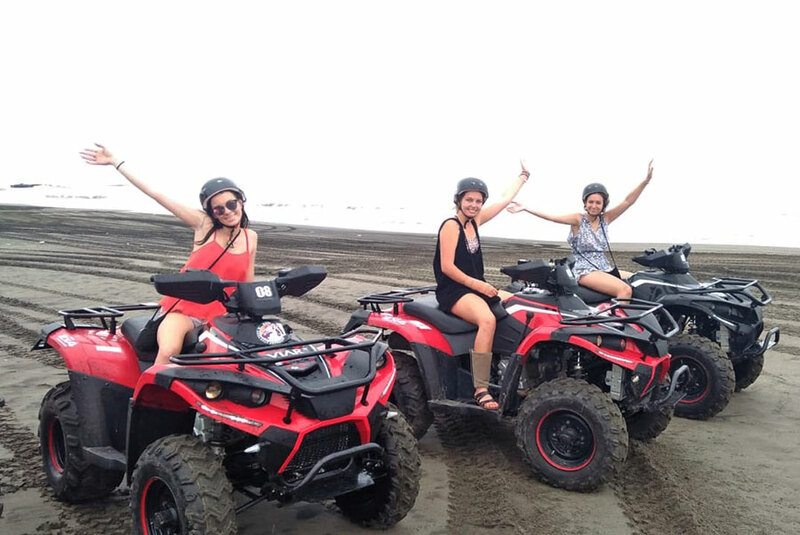 Bali ATV Ride Black Sandy Bali Driver Tour will treat and test your courage and adrenaline in the four quad bike while enjoying the panorama of the countryside. We ride along countless miles of remote black sand beaches, then up through scenic world heritage listed rice fields, jungle tracks and down through traditional local villages then back onto the beach for a final run. 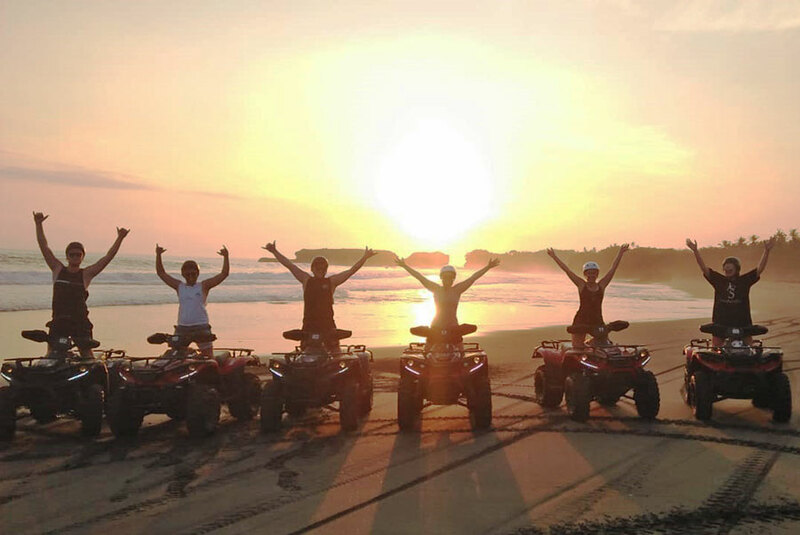 Let’s pamper your adrenaline on quad bike and test your courage in conquering incredible and challenging Bali ATV trek. Our site for Bali ATV’s on the Beach, Bali – is in Tabanan Regency, just 15 minutes west of the famous tourist destination Tanah Lot Temple. Finish up grab a ice cold soft drink or beer and wait for your all included restaurant meal to be served. Cash for the tour, sunglasses, sunscreen, normal Bali clothing is fine, shoes are better if you have them, if not thongs are ok, change of clothes is optional, we have towels for you. Tour is 2 hours of actual ride time + photo stops.